Detailing your muscle car keeps it in showroom condition, which is imperative if the car is completely original. 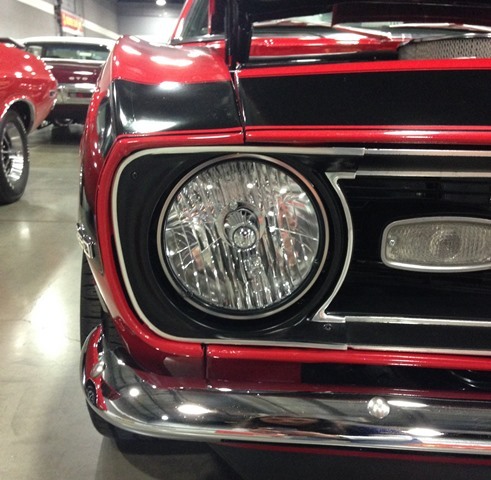 The materials used in many original muscle cars could be from as early as the 1950s. Thus, care must be taken so that the sun and temperatures don’t damage the material, especially the dashboard. Even leather or cloth seats that are original could easily crack or tear because of the sun and temperatures. Keeping a muscle car under cover helps protect the interior and exterior; but the materials — both inside and out — need to be taken care of if you want them to last for years to come. An air hose and compressor are invaluable when it comes to detailing your muscle car. Use it to get in all the small areas that you can’t reach with a brush or cloth. Blow all of the dust out of the nooks and crannies into the middle of the floor where it’s easier to vacuum it. Stiff brushes also help lift dirt from carpets. Furthermore, blow out the air ducts to give your vehicle the new car smell. Aim the air chuck through the vents at the walls of the ducts to remove any dust and moisture that stuck to the walls of the ducts. If your muscle car has a cabin air filter, remove the filter and blow it out or change it. Be sure to use the appropriate car detailing products. If you have a leather interior, use leather cleaner or restorer. Or, use a product such as 303® Automotive Protectant, which is designed to keep interior and exterior materials from cracking. This product also protects the interior from damaging UV rays. Clean the carpets and air ducts first, since dust tends to float up onto the rest of the interior. After you clean the bulk of the dirt out of the carpets and the air ducts, clean the rest of the interior. Before doing this, cover the carpets with plastic or paper mats to catch anything that falls on the floor while you are cleaning the remainder of the interior. Be sure to use 303 Automotive Protectant to help repel dust from dashboards and vinyl upholstery while cleaning the car’s interior. 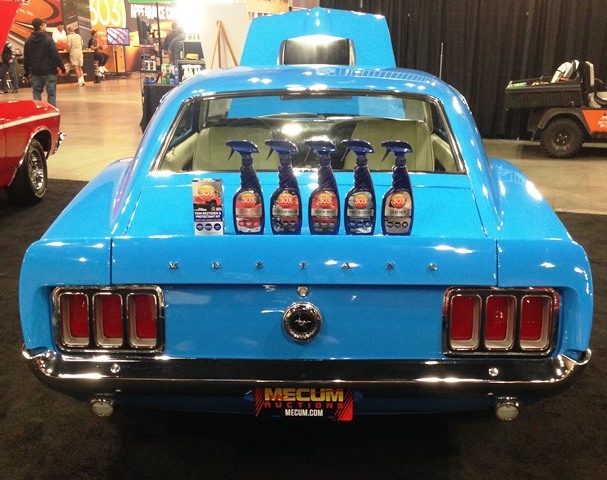 When working on your muscle car restoration or classic car restoration, clean any plastic trim with 303® Automotive Trim Restorer & Protectant. While older muscle cars and classic cars probably have chrome bumpers, vehicles that fall into the proper age category may have plastic bumpers. Before cleaning the exterior, clean the tires and wheels so the grime doesn’t get all over the newly shined and waxed paint. Make sure you use the appropriate chemical for the types of wheels you have, whether they are chrome, steel or aluminum alloy. Any acidic chemicals will pit aluminum alloy, so if you are not sure what kind of wheels you have, use a gentle cleaner instead of an acidic cleaner. You’ll have to scrub harder, but you won’t damage your wheels. Once the wheels are done, wash the vehicle with a car wash product. If you plan on waxing your muscle car anyway, then you could use a gentle dish detergent. Wash your muscle car often to keep grime from adhering to the paint. Also, wax your muscle car at least once per season. For a quick detail that has gentle cleaners, 303 Speed Detailer will do a great job giving your muscle car a showroom shine. When it’s time for interior car cleaning and car detailing, visit the 303 Automotive Line to choose the right product for cleaning and protecting your vehicle’s interior and exterior. Great article! It’s definitely a good,idea to clean the carpets and air ducts first! I am going to have to check out this 303 Automotive line it sounds like it is a winner.